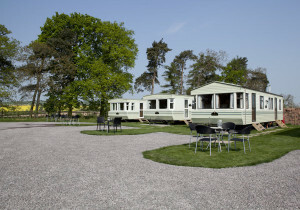 Chris and Margaret welcome you to Corve Barn Farm Mobile Home Park offering self catering holiday accommodation located in beautiful countryside near Much Wenlock in Shropshire. Our self catering cottages and mobile homes are set back some distance from the road in a peaceful and secure location with stunning views of the Corvedale valley. We are no longer a working farm but have retained a few Texel sheep to keep the orchard grass down. We can accommodate up to 55 people and make an ideal place for large groups of people, families, or singles for long or short breaks. Corve Barn Farm is an idyllic place for walking, fishing or simply relaxing and chilling out whilst your children have fun and play. We are surrounded by farming activity, an abundance of wildlife including badgers, deer, foxes and many varieties of birds and butterflies. 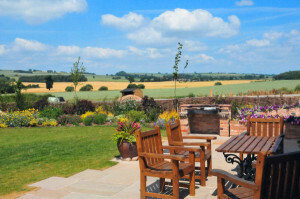 Self catering in our cottage at nearby Cardington village: Little Homefields Cottage. 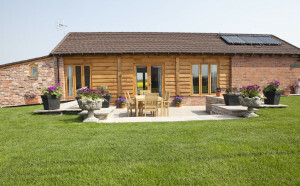 The farm is located close to the historic town of Much Wenlock and is convenient for visiting Bridgnorth, Ironbridge, Ludlow, Shrewsbury and Church Stretton. We are within easy reach of the Ironbridge Gorge Museums, Severn Valley Railway, Wenlock Edge and the numerous attractions of Shropshire.